Microsoft Excel is a table processor that is able to perform many different operations. For example, Excel is subject to any operation with integers to find the sum, calculate the percentage of numbers, etc. to learn to count in this program enough to know a few simple rules. For most users, Excel is the program that knows how to work with tables and you can put relevant information in tabular form. As a rule, few people know all the possibilities of this program and hardly anyone about any of this much thought. And Excel able to perform large number of operations, and one of them is to count numbers. In Microsoft Excel seems to be built in ultramodern calculator with lots of features and capabilities. So the first thing you need to know: all calculations in Excel are called formulas and they all begin with the equal sign (=). For example, we need to calculate the sum of 5+5. If you select any cell and the inside of it write 5+5, and then press the Enter button, the program does not count in the cell is just written "5+5". But if in front of this expression to put the equal sign (=5+5), then Excel will give us the result, that is, 10. You also need to know the basic arithmetic operators to work in Excel. This is a standard functions: addition, subtraction, multiplication, and division. And Excel is the exponentiation and percentage. With the first four functions are all clear. Exponentiation is written as ^ (Shift+6). For example, 5^2 this would be five squared or five to the second power. As for the percentage, then if you put a % sign after any number, it will be divided by 100. For example, if you write 12%, you get a of 0.12. This sign is easy to read percentages. For example, if you count the 7 percent of 50, then the formula would be: =50*7%. 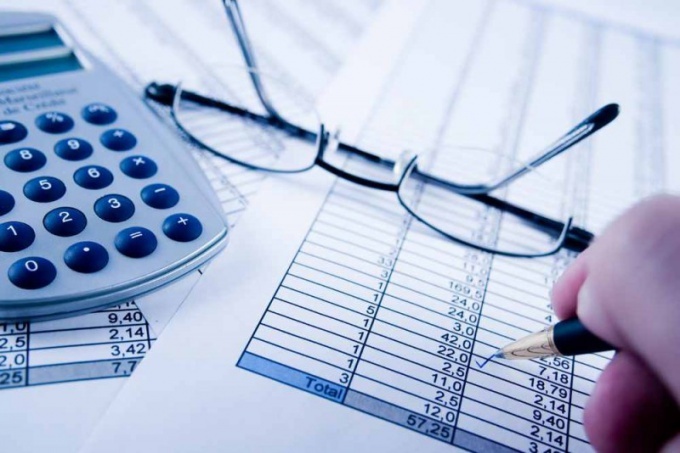 One of the popular operations that are often done in Excel is a calculation of the amount. Suppose you have a table with fields "Name", "Quantity", "Price" and "Amount". They are all filled, only the "Amount" field empty. To calculate the amount and fill in automatically the free column, first select the cell where you want to write a formula and put the equal sign. Then click the mouse on the desired number in the Quantity box, type the multiplication sign, then click on the number already in the "Price" field, and press Enter. The program will calculate this expression. If you click on the cell amount, you will see something like this formula: = B2*C2. This means that was deemed not some specific number, and the numbers that were in these cells. If you write other numbers in those cells, Excel automatically recalculates the formula and amount will change. If necessary, for example, to count the number of all items stored in the table, this can be done by selecting the icon autosome in the toolbar (it looks like a letter E). Then you need to specify a range of cells you want to count (in this case all the numbers in the "Quantity" box), press Enter and the program will display the resulting value. You can also do it manually, alternately pointing all the cells in the "Quantity" field and putting between them the sign of addition. (=A1+A2+...A10). The result will be the same. 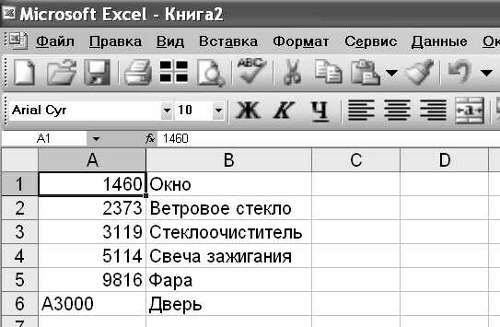 Excel is a spreadsheet program from a popular package of office applications Microsoft Office. Most often it is used for input, storage and statistical processing of relatively small data sets. In this spreadsheet editor available to the user a fairly complex mathematical, statistical, logical, analytical functions and the simplest operations of addition and subtraction very easy to implement. If you need to calculate using the table editor the difference between the two numbers, click the cell in which you want to see the result and type an equal sign. If the cell content begins with this sign, Excel thinks that it placed any mathematical operation or formula. After the equals sign, without spaces, enter the number of the minuend, put a minus, and enter the subtrahend. Then press Enter, the cell displays the difference between the two entered numbers. Slightly change the procedure in the first step, if the minuend or subtrahend the number should be taken from some other table cells. For example, in cell B5 is displayed is reduced by 55 number from cell D1, click B5, type an equal sign, click cell D1. After the equal sign will link to the specified cell. 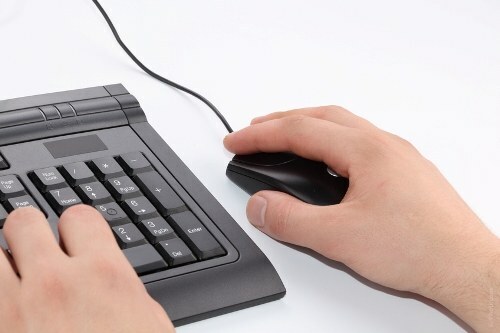 You can dial-out manually, without using the mouse. Then type a subtraction sign, the number 55 and press Enter - Excel will calculate and display the result. For subtracting one cell from another use the same algorithm type the equal sign, type the address or click the cursor cell in reducing value. Then put a minus, type or click the cell with the subtrahend value and press Enter. If you want to create a column of cells that contains the difference between the numbers of the other columns of each table row, start with the development of one such cell in the first row. Do it as described in the previous step of the algorithm. Then move the cursor to the lower right corner of the cell with the formula and subtracting the left mouse button drag it down to the last row of the table. Excel itself will change the references in the formulas for each row, when you release the left button. Instead of using numbers and cell references of the table in a subtraction operation, you can use Excel functions. In the standard package of Microsoft Office includes Microsoft Excel, which is a prepared tabular sheets. Mainly it is used for various calculations. Excel contains many mathematical functions, but before you start to use them, you need to properly configure. By default, the main menu displays only commonly used options. Enable hidden functions in the menu "tools", "settings", then "Settings" and check the box next to the line "Always show full menus". Performing the calculations, the program uses the formulas, but Excel will consider only those that start with " = " sign. For example, write in the cell =2+2 and press Enter. The result of the expression will appear in the same cell. Typed expression, thus, will not disappear - check it, double-clicking the left mouse button on the same cell. If after double-clicking on the keyboard press F2, the expression will appear in the toolbar in the formula bar, there you can change it. If the formula text is used, it must be enclosed in double quotes, for example: "="mother"". Excel does not have to be re-expressing each time. Just copy the previous entry by highlighting the desired cells. Each copied entry the program will ask its color, and the formula will look like this: = A1+D1. To see the expression, double-click on the selected cell with the left mouse button and press Enter. Find formula, focusing on the color of cells - multi-colored links indicate the numbers of rows and columns of letters of the corresponding expression. Expression in Excel can be arithmetic or logical. Note in the formula bar: =DEGREE(3;10) and press Enter, you get the number 59049. To solve logical expressions use special codes or blocks. To sign up, they should be strictly according to the rules. For example, recorded in the formula bar, the Boolean expression will look like this:=MIN(SUM(A22;DEGREE(C10;B22));K(SUM(A22;B22);the DEGREE(SUM(A22;C10);1/B22)) of a Complex formula can be written by using the function wizard. Run it by pressing the button ƒ located in the beginning of the string functions. In the window that appears, select the desired formula and click OK. In order to simplify the search, use category filter. Selecting the functionbrings you to the following window. Insert the first one, or click "Cancel". Put one formula to another by pressing the ""button on the taskbar. Then, from the drop-down list, select the desired. Don't forget to move the text cursor over cells with data. Excel does not recognize the simple mathematical formulas: MIN, MAX, average, DEGREE, SUM, COUNT, PI, K, SUMIF, COUNTIF. If you write: SUMIF("5"A1:A5) will count the sum of the cells whose value is greater than 5. To fulfill several conditions simultaneously by using the function "And". Use the value "OR" by checking one of the many conditions. If the table numbers are very large, use the VLOOKUP - vertical first equality, GPR – horizontal first par. Applying them, you will automatically find the desired cell ranges and save yourself from manually copying data. To facilitate the work with functions, you can use the button "Ʃ". Calculate the sum of several integers, find their arithmetic average value, the number used in the list of numbers largest and smallest number in the table. Tables in Excel are used for data processing tasks the program is written with special expressions - formulas. They can be arithmetic or logical. You can apply ready-made formulas or develop your own. 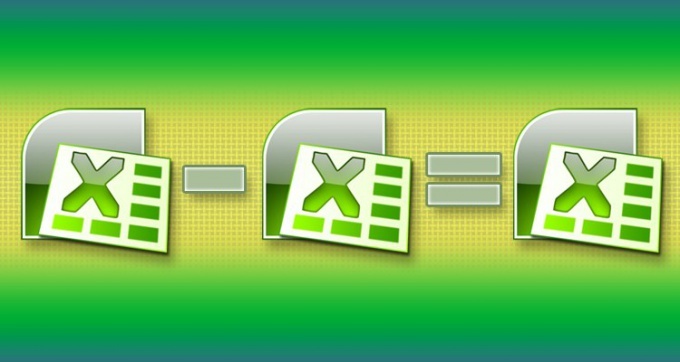 Formulas in Excel are calculations and begin the expression with the sign "equal". The designation sign on the keyboard =. In any cell in the Excel spreadsheet, type in =, then the arithmetic recording. After the introduction of expressions for calculation, press Enter. Will see the result of the calculation. An example can be of any complexity, the sequence of actions is determined by the arrangement of brackets. To calculate several parameters fill in the Excel spreadsheet. In cell A1 write the title "Name" in cell B1 "Amount" in cell C1 is "Price". Thus, the resulting header row. Tabulated multiple objects, quantities and prices. Array of data ready. In cell D1 write "Amount". This parameter will be calculated. Set the program calculation algorithm. In cell D2, type the = sign. You started to enter the formula. Next, enter B2. To do this, you can simply click the mouse on the cell B2. Set an action to do so, type the multiplication sign *. Enter the second factor, clicking on the cell C2. Finish the job by pressing Enter. In cell D2 you will see the result of the computation. If you now change the numbers in cells B2 or C2 in cell D2 will have a new result. The program will do with this new data, the action specified by the formula for that row of the table. To enter an expression to calculate directly in the formula bar.